This is the first year in 15 years that we will not be hosting Thanksgiving at our house. I will only be making the desserts and an appetizer. I am not disappointed because we are hosting a work party the following Friday so I can prepare for that instead. Are you ready for Turkey Day? Cant wait to see what you are sharing this week. 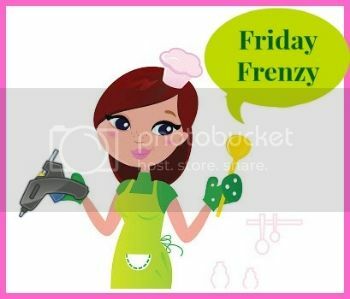 Close to Home ,Mostly Food and Crafts, Angel’s Homestead and Another Cent Saved would like to welcome you to this weeks FRIDAY FRENZY! Now we are not only asking you to linkup your delicious recipes, but also those great projects you have been working on. We want to see it all! Remember when you linkup to the Frenzy your posts are going to be featured on all four of our blogs – quadrupel the exposure! Every week we showcase a few of our favorites from the week before – if you are featured you can grab a button from the side of my blog. The featured posts will also be pinned on our Friday Food Frenzy Pinterest Board. Feel free to link up any recipes or crafts you’ve been working on this week! Outside of following the hostesses, we would just love for you to show us what you have been working on. Be sure to tell your friends to stop by too. Thanks again for joining the Frenzy! Warm up with fall foods with this yummy Acorn Squash with Apples and Pancetta from Whole Food Family. What a great selection of fall favorites. It’s not too late to create some Fall decor for your Thanksgiving table. Check out these DIY Fabric Pumpkins from Balm to My Soul..
Maybe you are too busy to think about dinner for the family. NO worries make this easy Caprese Pasta from Hun.. What’s for dinner. Love all the flavors in this. Thanks for stopping by and let’s Party. We’ve been in a Thanksgiving frenzy around here, too, getting ready for our family to come over!